If you have a Kindle, have you heard about the Kindle Owners' Lending Library (KOLL)? If you have an Amazon Prime membership, one of the benefits of membership is that you can take advantage of the KOLL – allowing you to borrow one book a month from over 500,000 available titles. Better than a public library because of the sheer volume of books available, you can use the KOLL to learn. Study resume writing techniques, borrow business books, read biographies of successful business owners. Leave me a comment below and let me know what book you borrowed first through the Kindle Owners' Lending Library! While many of these folks will be directed to company-paid outplacement firms, others will no doubt be seeking out the services of professional resume writers. (And, as the article surmises, even those who aren't laid off are likely to update their resumes and LinkedIn profiles in case this round isn't the last.) These aren't just IT professionals -- there will be folks in administration, marketing, operations, customer service, and finance too. OR, if you are looking to generate media coverage for your resume writing services, today would be a great day to reach out to your nearby news media (especially TV) and offer yourself as a source to interview about what to do when you're laid off. For example, you could call one of your local TV stations and ask for the assignment editor. Ask if they are planning on doing a local story on the impact of IBM's layoffs, expected to be the largest corporate layoff in U.S. history. Introduce yourself: "I'm (name), of (company name). I am reaching out to you to offer information and resources to help those among your (viewers/readers) who will be laid off, and their families. I can share information and advice that will help these folks, and it's applicable to any of your audience who have recently been laid off or fired." If you are interested in reaching out to the media, I'm offering my teleseminar recording and transcript of "Feed the Media: How to Get Free Publicity for Your Resume Business" for free download until Feb. 1, 2015. It will help you prepare to be a media source. Click here to download it. Should I Discount My Resume Services? There's been a lot of discussion recently about offering discounts for resume writers -- especially for friends and family. But discounts might not be the best way to convert a prospect into a client. Prospects who ask for discounts may be more likely to turn into PITA (Pain-in-the-A$$) clients. But even if they don't ask for discounts, sometimes resume writers may feel pressured to offer a discount to get the client to sign on. Creating a sense of urgency — buy now! 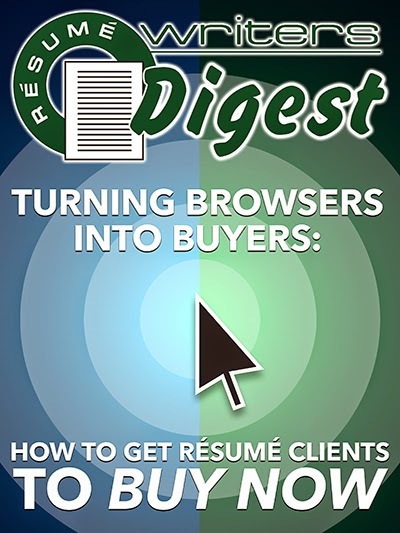 — is the single most important factor in turning résumé prospects into résumé clients. Ask any résumé writer: It’s critical to get a client to commit on the first call. The longer they wait, the slimmer your chance of getting them to open their wallet. But you don't have to offer them for a discount to get them to sign on. · Order your Résumé Rewrite package in the next 48 hours, and you’ll get a free 8-day “Leveraging LinkedIn In Your Job Search” training — a $49 value. · Buy the “Six Steps to a $6,000 Raise” and you’ll get a free 15-minute salary negotiation strategy session — but hurry, this special offer ends tomorrow! So next time you're tempted to offer a discount, offer a bonus instead. You can purchase the "Turning Browsers Into Buyers" special report for $27 here. I was talking to an acquaintance last week. He's a "stylist" for J. Hilburn, an upscale clothing company that uses the "direct sales" model -- think Pampered Chef, Avon, Tastefully Simple, and Arbonne. His "real job" (he was the one who called it that -- I'd just call it his "day job") is as an insurance agent. He had the opportunity to set up an exhibit booth at a conference for insurance agents, brokers, and agency managers. There would be 300-400 of these folks at the conference, and most of them wear suits (or anything the opposite of "Casual Friday") at least once a week, if not daily. They would be great prospects for his products. "I would have to take the day off of work to man the booth." 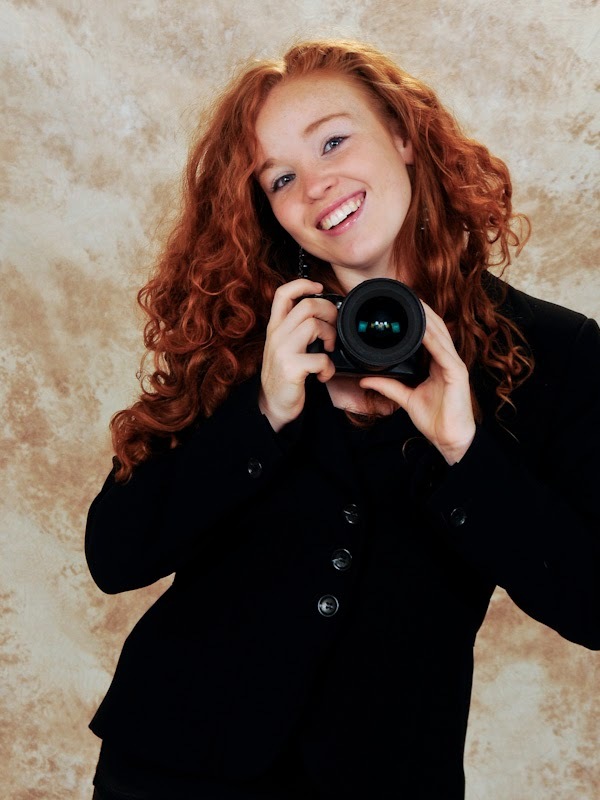 "I incur costs for marketing materials, and with that many people, that would be expensive." "I can't afford a booth because I might not make any sales." "No, I want them all myself." Resume writers who start their business need to invest -- not just money, but TIME in meeting qualified prospects. When you get the opportunity to get in front of people who need your services, take it! If that means teaming up so that you can meet the needs of your customers, don't be selfish! If you're so tied to your day job that you're not willing to make some sacrifices to be your own boss, you're probably not cut out for self-employment. And that's fine, but don't be confused about it. 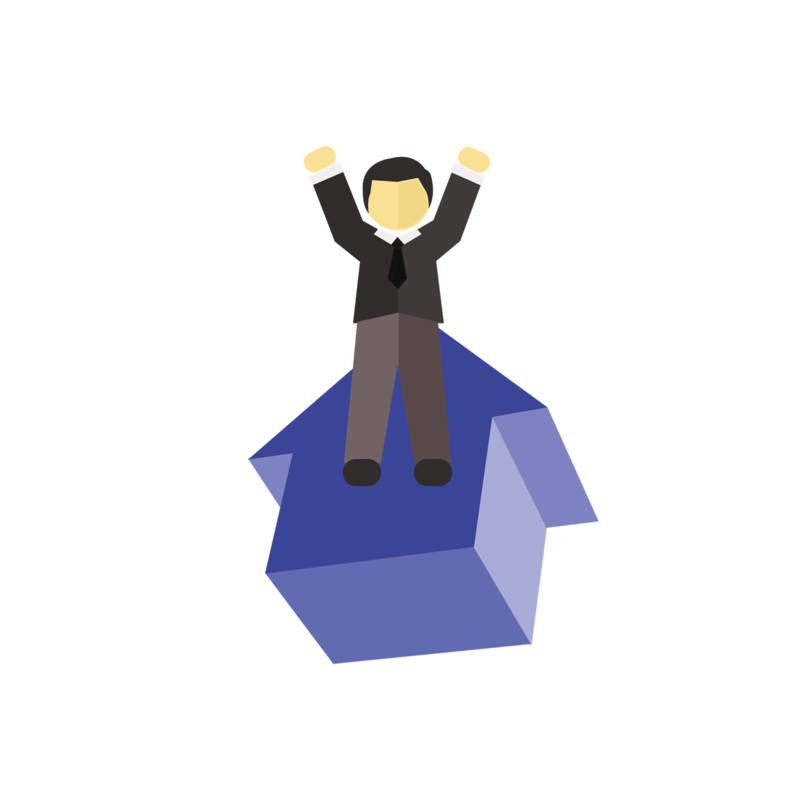 Owning your own resume writing business requires a leap of faith. 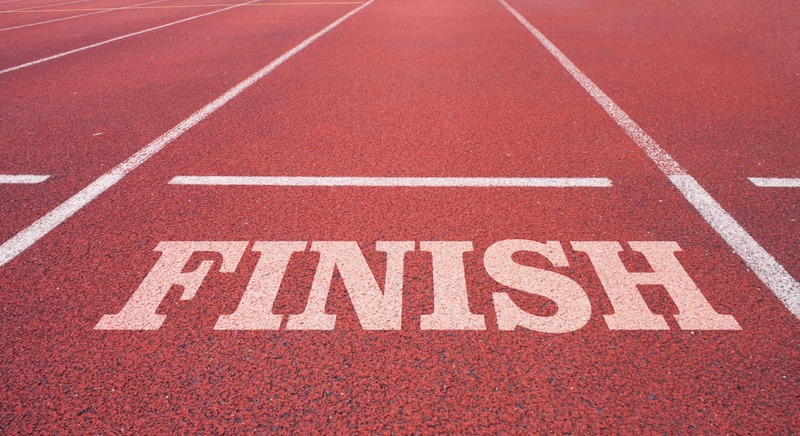 As I mentioned earlier this week, my word for 2015 is "FINISH." I love starting projects ... I even enjoy the middle ... but sometimes, finishing is hard. I was talking to a couple of resume writing colleagues about this today, and they suggested some ideas to help ... but I think the biggest thing for me is focus and mindfulness. Making it a priority to finish the projects is the first step. That includes actually putting tasks on my schedule so that I spend time on them each day. I'm also using Evernote to help. Each day, I start two notes. One is a daily journal to help me keep track of my time. If I don't track my time (even loosely), it gets away from me. The second note is a daily to-do list, with no more than 10 items in bold that are my priority for the day. I try to at least get the bolded items checked off each day. (And I love checking off items!) I can copy-and-paste the items that are still on there to the next day's note. The second thing I do is I write "FINISH" at the top of both of the Evernote notes. This reminds me of my overall goal for the year. If you want things to be different, do something different. Yesterday's blog post hit a nerve, it seems. A mailing list can be a valuable tool for your resume writing business. Whether you're creating an opt-in incentive to build your list to help convert prospects into clients, or using your mailing list to stay in touch with clients after you've worked with them, I believe a mailing list is instrumental, and you should start one now. You can take AWeber for a free test drive using the form below. Put in your name and email address and it will show you how easy it is. Right now, I'm running a Challenge for Bronze members of BeAResumeWriter.com -- and one of the projects (As outlined in my Dead Week post) is to create an opt-in incentive for visitors to your website. It's a great idea to collect the email addresses of resume prospects, because it allows you to develop a relationship with them -- and the best way to get their email address is to provide them with an opt-in incentive (an immediate gift they receive for providing their email address). 1. Pick one of the PAMs to use. 3. Order a cover on Fiverr.com (it's $5.50) (if you're new to Fiverr, your first Gig is free using my affiliate link: https://www.fiverr.com/s/6hjwbp). I use Vikiana for my cover designs, but there are others on there. She's currently working 5 days out, so you might pick one that delivers in 2-3 days if you want to get finished faster! 5. Save as a PDF. Then, set up an email list contact form and autoresponder to deliver the report. This is easy to do in Constant Contact or AWeber. 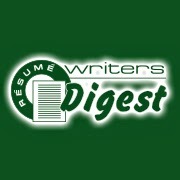 Thinking of Buying -- or Selling -- a Resume Writing Business? A couple of times a year, I hear from a resume writer who is thinking about retiring or selling his or her business. I recently interviewed a resume writer who successfully sold her business (and I'm thinking about interviewing the buyer too! ), but the topic came up for me yesterday when I got a call from a business broker who wondered if I was interested in selling my resume writing business. Health issues -- again, age is a factor in this one too. The resume writer might be interested in cutting back his or her business due to health concerns. Returning to the corporate world. I talked with a couple of resume writers in the last few months alone who are taking corporate jobs and consequently, are shuttering their careers business. If you're thinking of buying or selling, contact Linda at 719-540-2200 extension 243. Or visit the Affiliated Business Consultants website at www.Bizsale.com. Sometimes when you're trying to collect accomplishments from clients, they can't think of anything that they would consider an "accomplishment." This strategy works with people at all levels of employment and is best utilized to get accomplishments out of people who aren't used to quantifying what they do. I call it the "Then What?" question strategy. Let's say you're writing a resume for a preschool photographer. I chose that by going to Monster.com and looking for the first non-sales job I found in Omaha, Nebraska, where I live. It's much easier to get accomplishments from sales people than from people in the "helping professions." I'm not sure if "preschool photographer" is a helping profession or not, but it's one where you might have a hard time getting accomplishments out of the client -- but also a job where asking the right questions can yield some good stuff. So, I ask my preschool photographer client about her work, and she says that she takes photos of all the kids in a preschool class. I'll ask about how many kids are in the average class, and how long it usually takes to shoot a class. Then I might ask directly about an accomplishment — for example, "Tell me about what makes you good at your job." The client may say something like, "Well, sometimes the kids don't want their picture taken. They might be shy, or just not like photographers. I'm good at getting them to smile." I'd say, "Okay, so let's say little Timmy is clinging to his teacher and doesn't want his picture taken. Then what?" She might respond, "Well, first I'd put him at ease. I keep a little box of puppets in my photography bag for that very reason. He might not want to hear from me, but he'll listen to Mr. Monkey." "Okay, so you bring out Mr. Monkey. Then what?" She replies, "Well, I put the camera down and put on Mr. Monkey — he's a hand puppet — and I have Mr. Monkey explain — in a funny voice, of course — that he wants to be able to remember what Timmy looks like, and could he get a picture of him? Sometimes that works directly, but sometimes I have to give Mr. Monkey to the child and have Mr. Monkey agree to get his picture taken with Timmy first." "Great," I say. "So then what?" 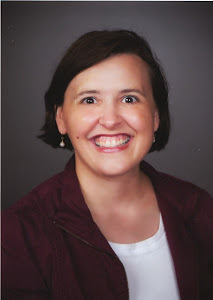 "Well," my client says, "At that point, they're usually smiling … or sometimes laughing … because I'm still using my Mr. Monkey voice, and I can get a couple of shots off. And because we shoot all digital, I can see right away if I've got the picture. In three years of doing this, Mr. Monkey has never failed in getting me the shot I need. Sometimes it takes 5 or 10 minutes, but I always get the photo." And from there, I'm able to write some strong, employer-oriented accomplishment bullets. Want to learn more about the "Then What?" question strategy? 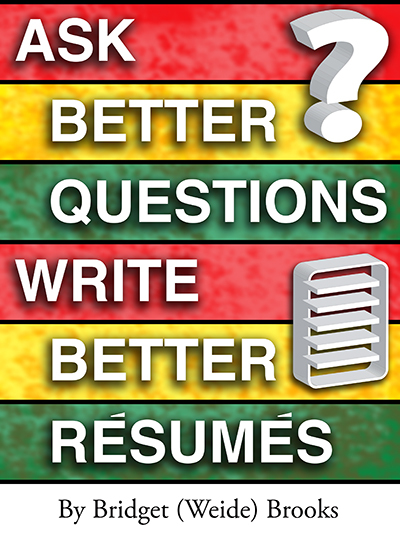 Purchase my teleseminar, "Ask Better Questions, Write Better Resumes" or download the "Write Great Resumes Faster" book. I started a new tradition last year … choosing a theme for the year. I called 2014 "The Year of the Product" because I wanted to focus on developing a new passive income stream -- a training program for resume writers interested in earning passive income through affiliate marketing. My words were: Create / Share / Action. I did meet that goal, launching the Resume Writer's Affiliate Income Blueprint program, fulfilling my dream of creating a program that would help resume writers meet their income goals while they also served the needs of jobseekers. For 2015, I took inspiration from Kelly McCausey and narrowed my focus for 2015 down to a single word. I was trying to figure out what my word was going to be … and it was starting to worry me that nothing was really coming to mind … and then my subconscious mind kicked in when I looked at my to-do list. Suddenly, my focus for 2015 was clear. You see, I have trouble finishing things. At any given time, my to-do list (the one I was just talking about), extends to more than a page. I have dozens of notes in Evernote with projects that I ended up dropping off my handwritten to-do lists. I love writing resumes. I hate finalizing them. In an ideal world, I'd send the client the first drafts and someone else would handle all the minor changes and create the additional file formats. So FINISH is my word for 2015. I've set a goal for one project that I've been working on for about 15 months now. I'm going to finish it by the end of this month. And then I'm going to choose something else to finish in February. And so on. But before I *finish* this blog post, I want to ask you: What's YOUR word going to be this year? Post it in the Comments section below. And I expect you to hold me accountable on my theme. Ask me how my projects are going!! !